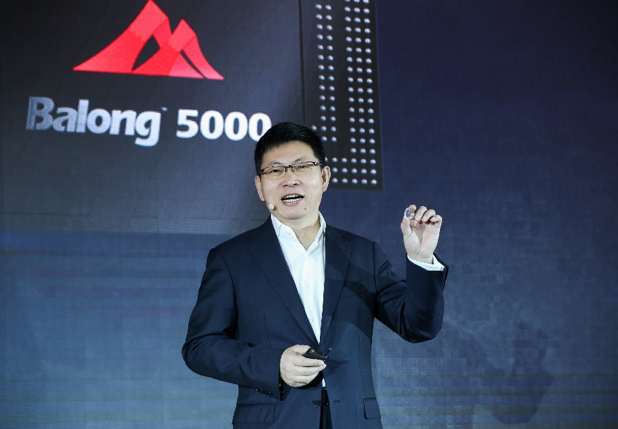 Huawei has officially unveiled its first 5G multi-mode chipset, Balong 5000, today, alongside its first new commercial 5G device, Huawei 5G CPE Pro. Both devices will power the 5G technology and provide one the world’s fastest wireless connections. The Balong 5000 supports devices like smartphones, home broadband devices, vehicle-mounted devices, and 5G modules. Built with a small form factor in mind, this 5G chipset supports 2G,3G, 4G, and 5G all at once. As stated, the chipset will reduce latency and power consumption when exchanging data between different modes. Likewise, as reported, it will significantly enhance user experience in the early stages of commercial 5G deployment. When in a run, at sub-6GHz, the Balong 5000 achieves download speeds of up to 4.6Gbps. On the other hand, on the mmWave spectrum, the chipset can achieve 6.5Gbps of download speeds; that’s 10x faster than the normal 4G LTE speed by today’s standard. Also, the Balong 5000 is first of its kind to support both standalone (SA) and non-standalone (NSA) network architectures for 5G. The standalone 5G will have its own architecture, unlike non-standalone which is built on top of legacy 4G LTE networks. As for the Huawei 5G CPE Pro, the router is solely powered by the Balong 5000 chipset. Although the device supports both 4G and 5G networks, it works best on a 5G network. On a 5G network, the CPE Pro is capable of downloading 1GB HD video clip within just three seconds, whilst 8K video can be streamed smoothly without lag. 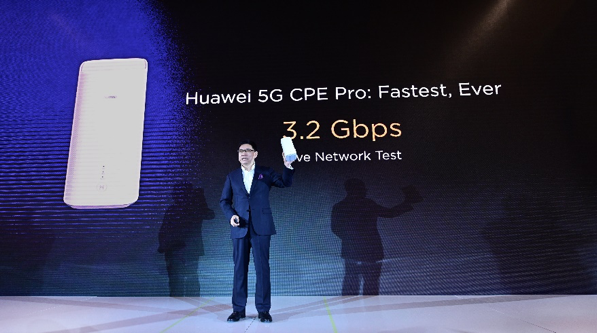 This is not surprising as the Huawei 5G CPE Pro can achieve speed up to 4.8Gbps. Huawei has been constantly innovating and the new 5G technology is a true example of it. The company has been working on the 5G project since 2009. This all comes down to all [more than 5,700] engineers dedicated to 5G R&D and 500 5G experts. Saksham is a founding editor-in-chief of E-Nepsters. He co-founded E-Nepsters in 2014 with his the then tech buddy. A tech enthusiast by a young age, he has a knack for collecting the latest gadgets. Follow him on Twitter or Facebook for a fair share of tech talks!